This is not a sports drink. This is an all natural electrolyte mix for those times when water isn't enough but a sports drink is too much. Our Daily Electrolyte Mix is designed to help you maintain an optimal level of hydration in that place between just sitting around and working out. You know, life. With just a hint of sweetness it's flavored with only real fruit and contains no artificial sweeteners, coloring agents or preservatives. That means it has everything you need and nothing you don't. The result is a simple and clean taste that you'll actually enjoy drinking. You Live. We Hydrate. To Use add contents of one package to approximately 16 fl oz of water. Use this product to rehydrate from conditions resulting in dehydration. Children and adults may drink 2-4 packages (32-64 fl oz) per day or more according to thirst. Do not use in children under 1 year of age. This ain't your parents drink mix. And unless you put yourself into extremely challenging conditions, it might not be yours, either. Our Hyper Hydration Drink Mix is an EXTREMELY high sodium mix designed for those times, and only those times, when you are unable to replace all the fluid you are losing through sweat any other way. How does it work? It has a ton of sodium in it, that's how. More than an entire bag of potato chips, in fact. Which is why it's not for everyone. This isn't for sipping on the couch, it's for when you're about to spend some serious time and energy in the pain cave. :GO FAR > 3 hrs for women tastes great, even warm and will not sour in the heat. Remember, most everything tastes fine while sitting on the couch. The real test is how does it taste long into a workout and after it sits in the sun for 4 hours? If it is not drinkable, you will not get the calories and electrolytes needed to perform your best. No other product on the market is formulated specifically for the demands of going fast. INFINIT created SPEED (formally the < 2 hr formula) specifically for the lactic acid bath that is SPEED. Higher percentage of INFINIT Glucose for energy with long chain glucose polymers and medium electrolytes eliminate any stomach distress during anaerobic efforts. INFINIT exclusive blend of three carbohydrate sources enables your body to process calories up to 40% more efficiently than other commercially made products available. SPEED tastes great, even warm and will not sour in the heat. Remember, most everything tastes fine while sitting on the couch. The real test is how does it taste long into a workout and after it is warm. If it is not drinkable, you will not get the calories and electrolytes needed to perform your best. SPEED blends three different carbohydrate sources (maltodextrine, glucose and sucrose) and enables your body to process calories up to 30% more efficiently than other commercially made products available. (Read more about caloric absorption rates. :SPEED for women blends three different carbohydrate sources (maltodextrin, glucose and natural cane sugar) and enables your body to process calories up to 30% more efficiently than other commercially made products available. (Read more about caloric absorption rates). 3. The act of moving rapidly. No other product on the market is formulated specifically for the demands of going really fast. INFINIT created :JET FUEL specifically for the lactic acid bath that is SPEED. Higher percentage of INFINIT Glucose for energy and 125 mg of caffeine for fast absorption rates. Long chain glucose polymers and medium electrolytes eliminate any stomach distress during anaerobic efforts. INFINIT exclusive blend of three carbohydrate sources enables your body to process calories up to 40% more efficiently than other commercially made products available. :JET FUEL tastes great, even warm and will not sour in the heat. Remember, most everything tastes fine while sitting on the couch. The real test is how does it taste long into a workout and after it is warm. If it is not drinkable, you will not get the calories and electrolytes needed to perform your best. :JET FUEL blends three different carbohydrate sources (maltodextrine, glucose and sucrose) and enables your body to process calories up to 30% more efficiently than other commercially made products available. (Read more about caloric absorption rates). : T FUEL's exclusive Electrolyte Blend is composed of Sodium chloride, Potassium chloride, Magnesium gluconate and Calcium gluconal. Developed by INFINIT staff nutritionist Kim Mueller MS, RD., this perfect blend of these essential salts gives the athlete everything they need for racing or training. 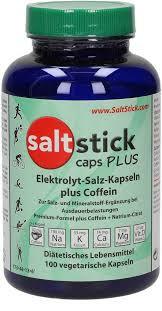 There is no need to supplement with salt tablets or have to juggle pills while running, paddling or riding your bike. · :JET FUEL has 125 mg of pure pharmaceutical grade caffeine to power you through the hardest workout. MUD is a mocha-flavored, pre-race fuel or recovery drink loaded with protein, natural chocolate flavor, premium ground flax and 3 different carb sources. Simplicity and effectiveness go hand-in-hand with this all-natural nutrition packed drink that is easy to digest on race morning or even on the way to work. Add just one scoop of MUD to your favorite milk (almond, rice, coconut, dairy, etc.) and you are ready to rock your day with a boost of energy and omega-3s. A special blend of exotic coffees made especially for INFINIT gives MUD its tasty flavor and "caffeine like a cup of joe and energy like a granola bar in each serving." So, whether you are looking for an easy morning boost in a bottle, mid-day jolt, or recharge after a tough ride, choose MUD for your high-octane drink. INFINIT :REPAIR is formulated specifically to replenish muscle glycogen levels, have a prolonged release of protein in order to maximize repair of damaged muscle tissue, and boost your immune system - all while tasting great! We use quick absorbing all natural casein, soy and whey proteins combined with four different carbohydrates, the amino acids Isoleucine, Valine, Leucine with L-Glutamine and blended with 100% all-natural chocolate flavors with no colors or artificial sweeteners. A blend of 50% casein protein, 25% whey isolate and 25% soy isolate in combination with essential amino acids provides the only post workout drink to supply long lasting time-released recovery for the most effective REPAIR possible. A blends of four different carbohydrate sources (maltodextrine, glucose, sucrose and crystalline fructose) enables your body to process up to 30% more efficientlythan other commercially made products. Once again, the market leader INFINIT comes through with the only "improves rest & nighttime recovery solution" available on the market. :NOCTURNE is the delicious only all natural custom-blended nighttime recovery solution made specifically for when you sleep! After a long day, enjoy the creamy chocolate flavor and ultra-pure whey protein isolate designed to soothe tired muscles and help you repair overnight. Tryptophan, a natural essential amino acid (long been known to increase the levels of melatonin and serotonin) will actually help lull you to a restful night of deep sleep after a long day of activity. A blend of four different carbohydrate sources (maltodextrin, glucose, sucrose and crystalline fructose) enables your body to process up to 30% more efficiently than other commercially made products. 100% all-natural ingredients with zero artificial flavors, sweeteners or colors. INFINIT Team Tip: Mix with any almond, soy, cow or coconut milk for a delicious way to end your day and recovery while you are asleep. The Bonk Breaker original PB&J Energy Bar is just like mom used to make. Side effects: Big smile, giggle and PR in your next race. As always at Bonk Breaker, our bars are made with non-GMO, REAL ingredients that are gluten free & dairy free. Salted Caramel, Coconut Cashew, Peanut Butter & Chocolate Chip, Almond Butter & Honey, Peanut Butter & Banana, Apple Pie, Espresso Chip, Blueberry Oat, Fig. We’ve taken our childhood favorite Cookies & Cream and transformed it into a decadent Bonk Breaker Protein Bar that you can guiltlessly enjoy. Packed with creamy white chocolate and crisp cookie chunks (gluten free of course), it’s a protein bar that doesn’t taste like a protein bar. Better than the rest, a pouch of Bonk Breaker Orange Tangerine Energy Chews (2 servings/pouch) gives you a blast of energy to recharge your fuel tank with clean, easy digestible & great tasting fuel. With the perfect texture and craveable flavor, these chews will give you the burst of energy you need to fuel your journey. Packed with 240 mg of vital electrolytes–significantly higher than the competition– along with 200 Percent Daily Value of Vitamin C, these well-rounded, nutritious gummies will take your performance to the next level when you need fuel NOW. Fuel Up with Bonk Breaker Chews every 30-45 minutes during exercise or when you need a quick source of energy to Break your Bonk. Like all of Bonk Breaker's clean, natural, tasty nutrition, we use REAL ingredients that taste great. Box of 12 packets . MSRP $29.00. Rip open the taste of summer all year long with Honey Stinger’s Pink Lemonade chews! A sweet and tangy flavor that everyone loves using natural pink lemonade flavors. Certified organic, certified gluten free, fortified with 100% RDA vitamin C, this is a delicious snack or energy source! Sweetened with organic honey and tapioca syrup, these chews provide a natural and sustainable source of energy with the multiple carbohydrate sources: glucose, fructose, maltose, sucrose. Box of 16 waffles. MSRP $23.24. During exercise a mere 2% loss in body weight can lead to a decrease in exercise performance. Nuun Energy contains a complete electrolyte blend, with added nutrients to help metabolize food into fuel, and provide mental clarity and focus. Created for daily training Box Of 24 and competition, GU Energy Chews pack energy-dense calories in a portable packet to help sustain energy demands of long duration activities. The 90-calorie packet contains carbohydrates to keep you fueled while delaying bonking by sparing your glycogen stores. Sodium, the primary electrolyte lost in sweat, aids in hydration by maintaining water balance. The branched-chain amino acids (leucine, valine, isoleucine) may reduce mental fatigue and decrease muscle damage. When your entire body begins to burn, when the challenge has taken you to the max, fuel up with PowerGel® Energy Gels. Each Gel is designed with 27-28 grams of PowerBar’s C2MAX dual source energy blend, which can help deliver 20 to 50 percent* more energy to your muscles. Not only that, PowerGel® Energy Gels have the most sodium** of any leading gel on the market. So if you’re the type of athlete that continues to push yourself on to new heights and achievements each day, PowerGel® Energy Gels can help boost your performance. Enjoy a variety of flavors and save money with this convenient Harvest Energy Variety Pack. Includes three bars of each of our seven Harvest Energy flavors, including Apple Cinnamon Crisp, Double Chocolate Crisp, Oatmeal Raisin Cookie, Peanut Butter Chocolate Chip, Strawberry Crunch, Toffee Chocolate Chip and Trail Mix. When you’re a serious athlete competing at the highest levels of exercise intensity and duration, fueling up right can make a huge impact on how you feel and perform. PowerBar Performance Energy Wafer Bars are formulated with PowerBar C2MAX dual source energy blend: a 2:1 glucose to fructose blend found to deliver 20–50% more energy to muscles than glucose alone. is a nutritional powerhouse. Our organic acai berries, pure raspberries, dark chocolate and greens are blended together with PROBAR’s 10 signature ingredients for a bar that is good for you and tastes SUPER in every bite. The Original Blend tastes like your favorite trail mix in a bar. It is a delectable combination of whole grain goodness, chunky nuts, and moist, delicious fruits. Which is better… peanut butter or chocolate? You can enjoy both with the ooey-gooey Peanut Butter Chocolate Chip bar, packed with swirls of organic peanuts and dark chocolate to satisfy all your cravings. Delectable strawberries in an easy to digest form. Packed with electrolytes and B vitamins, it’ll be sure to power you through the finish. Raspberry Bolt is an energy chew made with real superfruits loaded with electrolytes, complex carbs, B vitamins, and caffeine from Yerba Mate. This tasty chew will launch you to new heights! A bright burst of citrus will fill your mouth once you take a bite of Orange BOLT™. This organic energy chew is full of electrolytes, complex carbs, and B vitamins…and it’s gluten-free!A bright burst of citrus will fill your mouth once you take a bite of Orange BOLT™. This organic energy chew is full of electrolytes, complex carbs, and B vitamins…and it’s gluten-free! With the perfect blend of your favorite berries infused with electrolytes, B vitamins, and caffeine from yerba mate, Berry Blast BOLT™ will give you energy to start, endure, and finish your next adventure. $One bite of a Strawberry FUEL™ bar, and you’ll be transported to an expanse of lush, sweet, juicy fruit flavors grounded in robust seeds and nuts that will help you transcend to your next break through. Cherry FUEL™ is like biting into a handful of dark, plump, late summer cherries. With fiber and fruit, this bar is a medley of flavor and nutrition. A Cran-Raspberry FUEL™ bar's sun-ripened raspberry flavor, enhanced with the tangy, tart taste of cranberries, has been known to out-perform 4th of July fireworks. A mouthful of the Blueberry FUEL™ has bursting fruit flavors, scrumptious cashews and near magical mix of black and white antioxidant and omega-rich chia seeds. Premium fuel, non-sweet (plain flavor) pure complex carbs, provides safe, clean, efficient calories for any exercise activity. Consume BEFORE, DURING, and AFTER, for energy, endurance, recovery; any time, any where, for ANY sport, ALL sports. Non-sweet, (plain flavor) NO preservatives, color, dairy, soy, sweeteners or yeast. Phosphate-Electroyltes, key Aminos, metabolites, and Adaptogens make it a Powerful Ergogenic Aid - For Endurance, Power, and Strength. Use it regularly to Optimize the ATP/CP, lactic acid and anaerobic energy systems; Extend endurance; Reduce accumulation of ammonia and other metabolic wastes; Increase oxygen availability by 12%; Increase maximal power output by 17%; Buffer lactic acid build-up; Elevate anaerobic threshold; To beat the Burn and prevent (DOMS) Delayed Onset of Muscle Soreness Perfect for phosphate loading. How to use VO2 Max Endurance? As a dietary supplement - take FOUR to FIVE capsules 30 minutes to 45 minutes before exercise activity. During Activity, (long training rides/runs or races)take TWO to THREE capsules of VANTAGE per hour of activity. Ultragen is the most advanced recovery formulation ever developed. Each serving of Ultragen delivers the levels of nutrients that have been shown in clinical research to maximize recovery and give you an extra edge over the competition. Rapid and Complete Endurance Recovery Formula Refuels Exhausted Muscles and Maximizes Performance, Gluten-free & Lactose-free. Fruit punch, Chocolate, Vanilla, Cappuccino. With the highest electrolyte content available, EFS drink mix provides everything you need to maximize endurance and performance during exercise. Optygen is a legal, safe and stimulant-free formula that designed specifically to improve oxygen utilization, reduce lactic acid and allow the body to adapt to high levels of physical stress. is the answer for anyone looking for a highly effective and healthy powdered sports drink. HEED's subtle tasting, complex carbohydrate formula goes down easily and supplies you with consistent, long-lasting energy and the electrolytes you need to keep pushing the pace. HEED is made with premium, natural ingredients and precisely formulated to benefit both performance and health. Prolongs endurance in ultra workouts and races, Assists energy production, Helps prevent muscle cramping, Counteracts everyday fatigue. The only recovery drink with the 4:1 carb to protein ratio, and is proven to reduce muscle damage and increase both muscle function and endurance in a subsequent workout., All Natural Endurox R4 still contains its patented 4:1 ratio of carbs to protein, but now includes both whey and soy protein, which enhances the overall effectiveness of our protein-powered recovery drink. Fruit Punch, Tangy-Orange. Lemon-lime, Chocolate, Vanilla. protein ratio, which helps athletes perform better and recover faster. Accelerade still contains its patented ratio, but now includes both whey and soy protein which enhances the overall effectiveness of our protein-powered sports drink. With Accelerade: you will have 29% more endurance, you will rehydrate 40% better., your muscles will recover 40% faster, you will lower your perceived exertion. Fruitpunch, Lemonade, Lemon-lime, Mountain-Berry, Orange. Berry Blend, Orange Tangerine, Lemon-lime.